The need to regularly apply all the available patches should remain a top priority for each of us. If you haven’t installed the newest updates for your operating system, we strongly recommend you to immediately do this. Especially if you have or manage your own server and you’re running older versions of Windows server ( which are still functional but lack new technologies) that make them more vulnerable to a new wave of exploits. Along with the Eternal Blue, Eternal Synergy, Eternal Romance and Eternal Champion are methods used for malicious purposes and part of the arsenal of NSA leaked exploits used to help carry out the devastating Petya cyber attack. 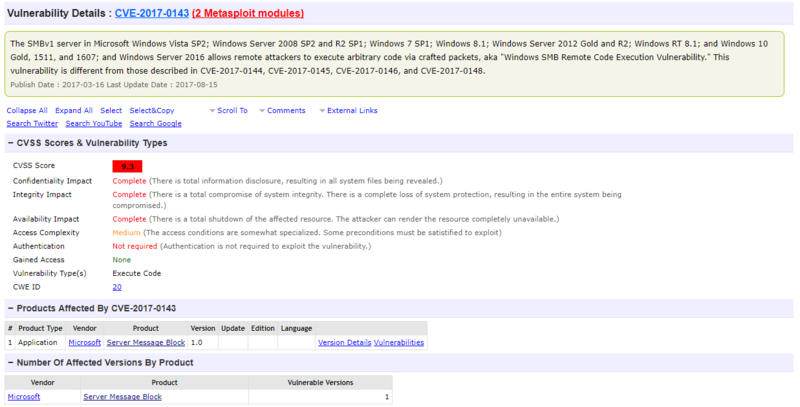 The three exploits, which are linked to the CVE-2017-0143 and CVE-2017-0146 Microsoft vulnerabilities, have been rewritten and stabilized and can impact all Windows operating systems starting with Windows 2000 up to and including Server 2016 edition. These exploits can be used by online criminals to remotely execute arbitrary code on systems if they send specially crafted messages to the Microsoft SMB servers. They are ported to the popular Metasploit penetration testing Framework, which is a tool for developing and executing exploit code against a remote target machine. Malicious actors try to run commands in the system, by default, to authenticate and perform the exploits. They make use of these SMB exploits (listing vulnerabilities until they try to open a named Pipe ) to spread malware and get inside users’ PCs. Instead of going for injecting a shellcode into a target system and taking control over it, attackers will try to overwrite the SMB (Server Message Block) connection session structures to gain admin rights over the system. After that, the exploit module will drop to disk (or use a PowerShell command), explains zerosum0x0 and then copy directly to the hard drive. The difference between the Metasploit port of EternalBlue and these exploit modules is that the kernel shellcode is not used to load Meterpreter payloads. According to the pentester who noticed these exploits, he thinks that they “should virtually never crash post-Vista, and only in extremely rare circumstances for earlier versions”. More technical details can be found on Github. First of all, we strongly encourage all users to install this critical patch released by Microsoft in March 2017 for Windows SMB Server (Microsoft Security Bulletin MS17-010) on all available systems RIGHT NOW. Here you will find links to all the software versions affected and the security update package to install. Educate yourself and gain more knowledge in the info security field, so you can learn how to better detect and prevent such cyber attacks. Use these free online educational resources to learn actionable and useful things. Based on these exploits, we could see a new wave of global cyber attacks similar to WannaCry or nonPetya hitting both users and organizations, so prevention should be our top priority. Have you applied the latest updates to your system? a) first install the critical patch which is provided by Microsoft after that for windows SMB server which is avilable recently. 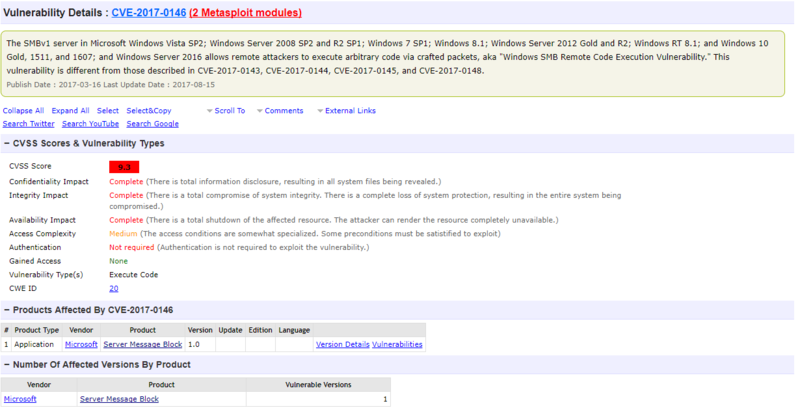 find the link for all software versions that are affected and all security updated. Hello, Rob and thank you so much for your feedback! Jeg har flere gange overvejet, at gå over til Heimdal når mit BullGuard abonnement løber ud. Hver gang stopper det, når et (dansk) beskyttelsesprogram ikke også er på dansk. Hello, John and thank you for considering Heimdal. On the front page of our website (in the right) you can choose Danish (DA) as a default language: https://heimdalsecurity.com/da/home You should know that Heimdal is not an antivirus, but a proactive security solution that protects your PC and valuable data from advanced online threats. You should know that it will make a great addition to your antivirus product and enhance protection for your data while navigating online. Sould you have additional questions, you can use this page https://heimdalsecurity.com/en/media-center to get in touch with us. Thank you!